The overtly beautiful bathroom is created through harmonious shapes that sooth the senses and reflect our sense of self-esteem. Everyday life is exciting enough. 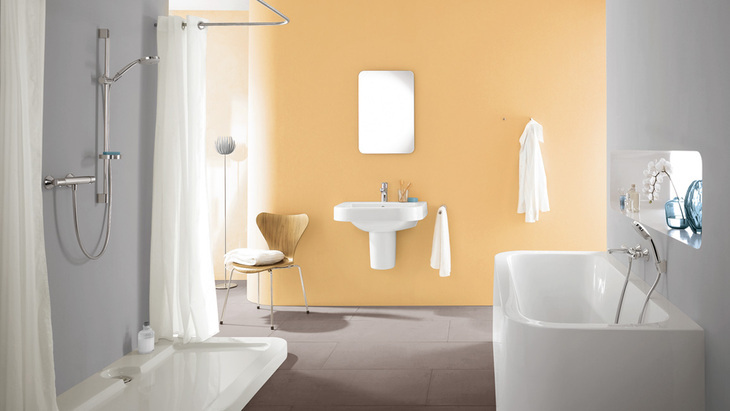 We therefore love soothing forms and a familiar structure created through elegant bathroom objects and timeless design. The result: an oasis for relaxation and revitalisation – created here using the Talis E² mixer range.